Liveblog notes from the afternoon session on Monday 28 February, the first full day of the Learning Analytics and Knowledge ’11 (LAK11) conference in Banff, Canada. 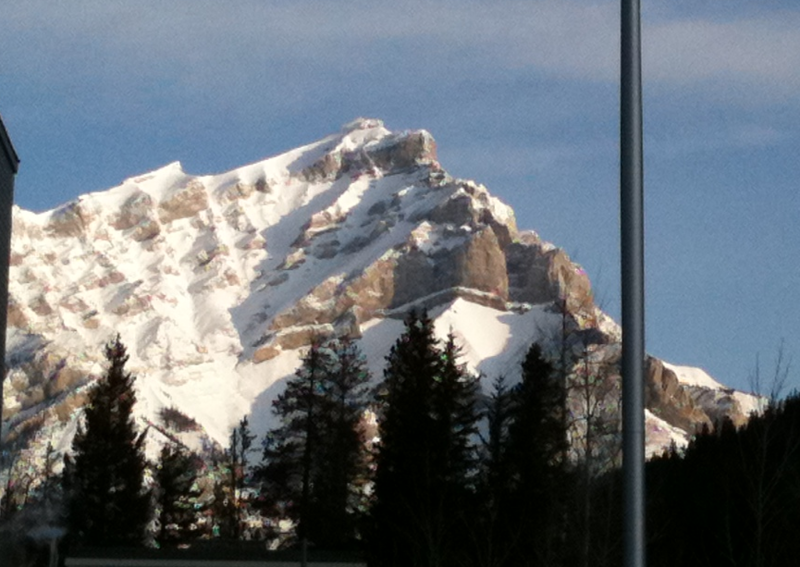 Liveblog notes from the morning of Monday 28 February, the first full day of the Learning Analytics and Knowledge ’11 (LAK11) conference in Banff, Canada. Thanks to TEKRI at Athabasca; Centre of Educational Innovation and Technology, U Queensland; EDUCAUSE. Thanks to four platinum sponsors – Kaplan Venture, Alberta Innovates, Desire2Learn, Bill and Melinda Gates Foundation. Thanks to steering committee. Thanks to program chairs and program committee. Gill who helps organise and support administratively. Chris too. And Blaze who’s working the video on ustream – will be recorded and made available later. Backchat on #LAK11. Why learning analytics? We’re in a knowledge economy, and the foundation is data. We need to better understand the data exhaust being produced by students, and the teachers, as they interact and work online. Various initiatives in Canada to make it a leader in the knowledge economy. Shift from physical- to knowledge-based economies. We haven’t had as much time in understanding how to create value in the knowledge economy. That’s where learning analytics becomes important. Learning analytics is the measurement, collection, analysis and reporting of data about learners and their contexts, for purposes of understanding and optimizing learning and the environments in which it occurs. Reflecting on this and everything else from the pre-conference workshop at the Learning Analytics and Knowledge conference today (see my liveblog notes from the morning and the afternoon), I realised that my underlying model here is of a Learning Analytics Cycle. The process starts with learners. (Always a good bet pedagogically.) These learners could be students enrolled at a university, or informal learners, or participants at a research conference. Data is generated by or about the learners. It could be demographic information, it could be a clickstream, it could be login time, it could be the full text of their contributions to an online discussion, it could be their assessment scores – everything. This data can be generated automatically, or with great and strenuous efforts by a large multidisciplinary team – or anything in between. There’s also data about learners who are like the learners in question in some way or other. One of the drivers for the interest in learning analytics as a field is that we have far, far more of this information than we used to, for all sorts of reasons. Next comes the bit in the process that perhaps most springs to mind when you think of doing ‘learning analytics’ – someone takes that data and generates some metrics or analytics based on that data, which give some insight in to what’s going on. This could be a visualisation, a dashboard, a list of ‘at risk’ students, a comparison of some outcome measure with some benchmark, or whatever. Some of these are easily generated because they’re built in to tools at hand; others take huge amounts of time and effort to research, develop and validate. Then those distillations of the data are used to drive some sort of intervention, which has some change on the learners. This could be a tutor making personal contact with a student that a model has identified is at very high risk of dropping out. Or it could be a dashboard for learners showing how their activity compares to others’. Or it could be a Government looking at the graduation rates across the university sector and deciding that sector-wide change is needed. And right back down at a simple level, a teacher reviewing the final grade scores for a course and deciding considering what to do next time they teach it is an example of the cycle in action. I don’t think you have to have all the elements present to be able to claim to be doing learning analytics. The bit at the bottom, where you create some representation of data about learners, should count on its own. But to make effective use of learning analytics – and unlock the huge potential value that’s there – you do need to close the loop in a cycle like this. There are lots of places where the cycle can break: the data may not accurately reflect the learners; the metrics or analytics developed may be flawed; the intervention may not happen at all, or be inappropriate or ineffective and not affect learners at all. Liveblog notes from the afternoon of the pre-conference workshop (Sunday 27 Feb 2011) of the Learning Analytics and Knowledge (LAK11) conference. There was an excellent discussion over lunch about the power of simple measures to infer great – and privacy-threatening – amounts of information. So, for instance, you can guess well at what appliances someone has in their house simply by looking at the usage of electricity over a 24-hour period, using a smart meter. And then that raised the possibility of identifying an appliance that was about to break down simply from a change in its use in electricity over time. Which would be gold dust for advertisers, since they could potentially target you with an advert for a new washing machine before you even know that you’re going to need to buy one in the next few weeks, because they know yours is about to break down. I’m at the 1st Learning Analytics and Knowledge conference, at the Banff Centre in Banff, Canada. Today – Sunday 27th February 2011 – is the Pre-Conference Workshops . It’s being streamed live. The hashtag is #LAK11, which is also the tag for the pre-conference open course on learning analytics. We are right in the middle of the Rocky Mountains, and the views all around are stunning. This is the first of (probably) six or more liveblog notes – my plan is one per half day. [W]e have decided to take more time on developing the White Paper – in part to test proposals more thoroughly among the sector, students and other experts; in part to learn from how price setting works this Spring. I’ve not time to analyse it in depth, and there’s some real detail in the first part of the speech that will have some substantial implications. There’s some substantial stuff in the long-term vision too. There’s very clear and unequivocal setting out of an increased role for new providers of HE – what I’ve been calling the coming of the private HE sector). It is increasingly clear, if anyone ever seriously doubted it, that this Government is committed to having an increased role for new providers of higher education, and is doing whatever it can to make it happen. We will also allow alternative providers to access the generous system of student loans and grants, so their students will also be able to benefit from not having to pay upfront fees. I look forward to new liberal arts colleges or specialist institutions. And the global higher education providers that operate in many countries from India to Spain to the USA need to know that we will be removing the barriers that stop them operating as universities here as part of our system – provided, of course, that they meet high standards which are a key feature of our higher education system. Another barrier to open access and contestability is the automatic link between degree awarding powers and teaching. Over the past 50 years, we have created a regulatory system which says that teaching students and awarding degrees must be done by the same institution. And that is certainly one way of doing it, as represented by the institutions in this room. But it is not the only way. Quality standards have to focus on quality alone. They must not protect one way of delivering higher education at the expense of others. The OER world has long predicted this sort of change. You could describe this as an institution-driven pressure from outside the sector. There’s been some grassroots/bottom-up action here too, with teaching-and-learning activities decoupled from accreditation – think of MOOCs, P2PU, and so on. And now we have a Government producing top-down pressure. Institutions in the middle may well find themselves somewhat squeezed. Admittedly he was raising it in order to deny it, saying that Universities are not being left alone in this way. But I know many in the UK HE sector – and indeed many others in Britain – are feeling very much that way, and I’m mildly surprised that Her Britannic Majesty’s Minister of State for Universities and Science chose to cite this at this moment in time. I’ve just heard that iSpot Local has been recommended for funding by JISC! Having just seen a post arguing that JISC projects should blog, I thought I better blog about it. This project aims to explore the potential of an exciting technology-enhanced learning practice (Bioblitzes) to serve as the key mediating event for the co-creation and crowd-sourcing of digital content related to field biology, by extending an existing web tool (iSpot) and building a strong community partnership network. Rapidly deploy a community website (iSpot Local) to facilitate, coordinate and mediate activity. Deliver pre-event learning opportunities to engage and empower potential community users. Deliver six Bioblitz events, generating significant crowd-sourced digital content related to field observations of nature. Develop iSpot Local to integrate community-specific content with observational data. Co-create, crowd-source and identify existing learning resources to meet the needs and aspirations of participants. So what’s a Bioblitz? In a nutshell, it’s a bunch of people who go to a nature site for a day or so, and record and identify as much of the wildlife as they can see, usually with a bit of help from some experts. Or, more formally, “a Bioblitz is a time-limited wildlife survey of a particular site – usually a single day – during which all organisms encountered are identified and recorded by the public, working with a team of experts.” Bioblitzes are great – they generate real scientific data, and get people interested in the particular place, in the plants, bugs and anything else that they can identify, and in the scientific process. You don’t need any technology beyond a piece of paper and a pencil, but it’s a lot easier and more worthwhile to do it with a bit of helpful technology. The idea is that we set up a website quickly (iSpot Local! ), run some learning activities with local people in the places where we’re doing the Bioblitzes, and then run them. People will take photos of what they see, stick them up on iSpot, and log where it was seen, who saw it, and what species it is. Experts from our network of partners will be on hand to help on the day itself, and experts and enthusiastic amateurs from the existing iSpot community will be able to help online. Then we’ll help the people who’ve got interested in the places and nature they’ve seen to learn more about them, and share more information about their local place, the local biota, and what’s going on to help look after the site. Early days yet! The project starts on 1 March, which is going to be a real challenge to do since we’ve only just heard we are (likely to be!) funded. And it’s not a long project (only 7 months), and we have a lot to deliver. But it’s a very exciting project to be part of, and we have some excellent people working on it, and I’m looking forward to it.